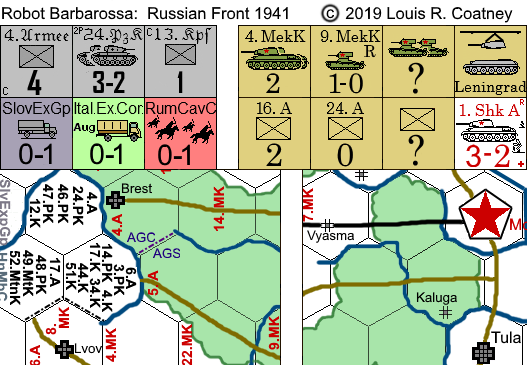 An individual is free to make one personal copy of Robot Barbarossa: Russian Front 1941, for his/her own personal use. B. 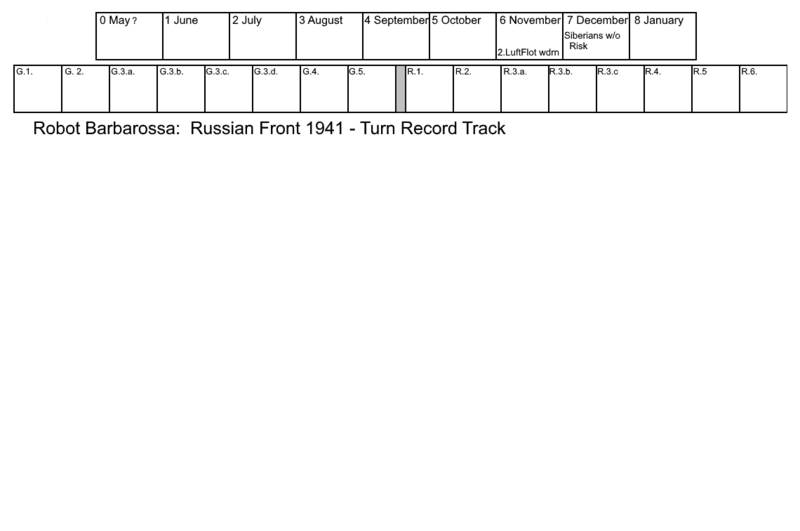 The Russian people who lived in the path of the Nazi war machine and who suffered so terribly during "Operation Barbarossa." 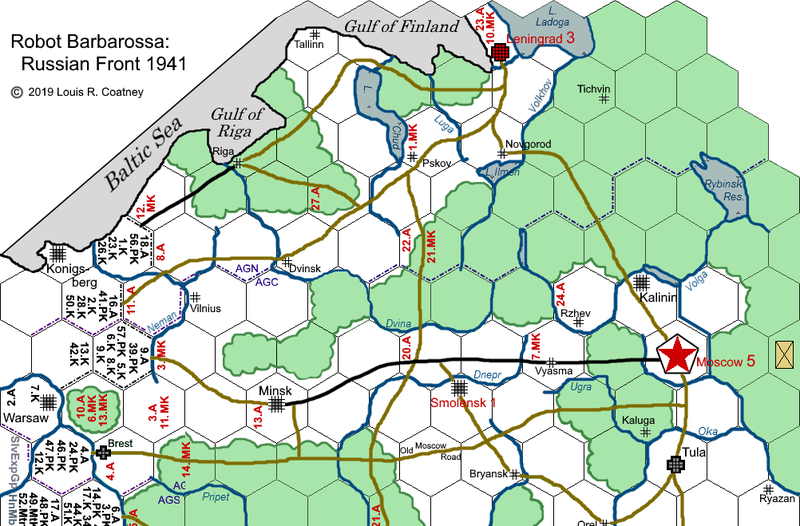 War must be confined to history books and games. 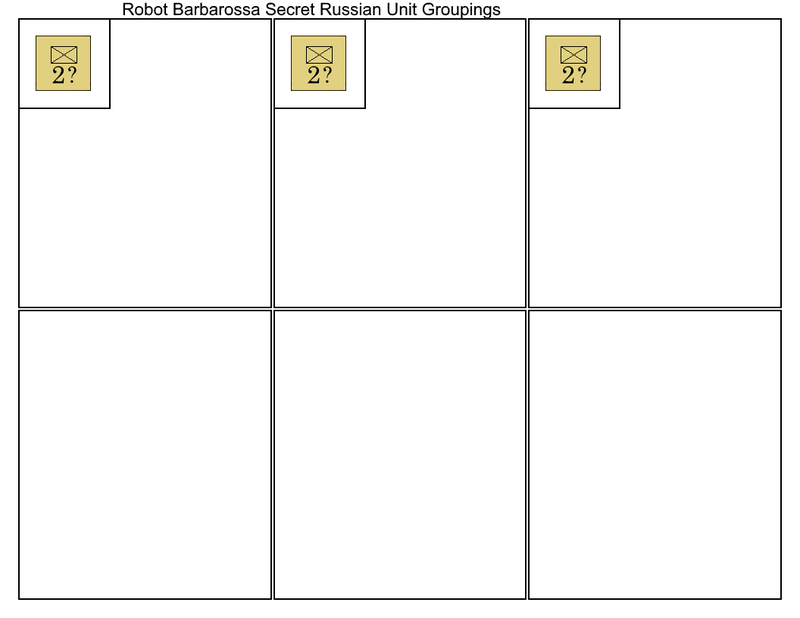 And now: Here are Robot Barbarossa: Russian Front 1941 components, to print off and assemble so that it may be played. Players-students will also need a single six-sided die (or chits numbered 1-6, to be drawn out of a hat) for the randomized combat results tables. 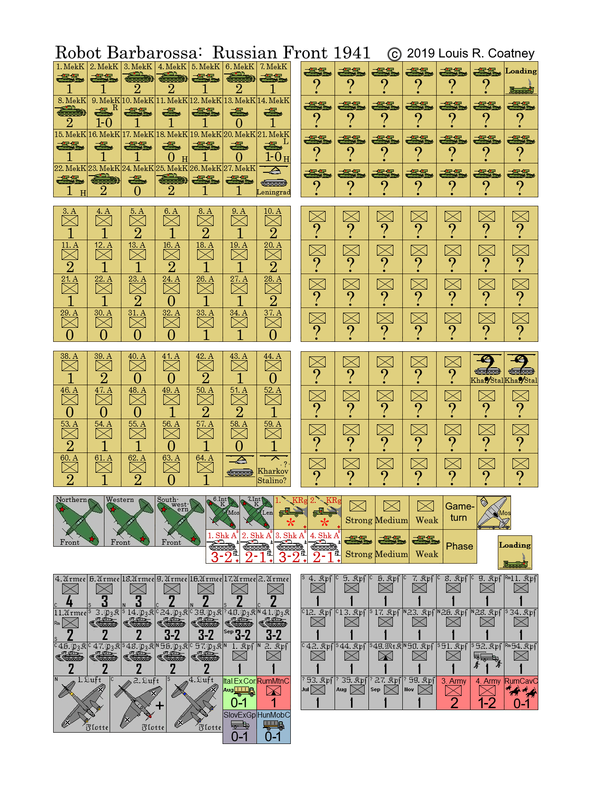 All map pieces should be A3/11x17 size. Rules in Word format - Final Draft(?)19Apr19!! 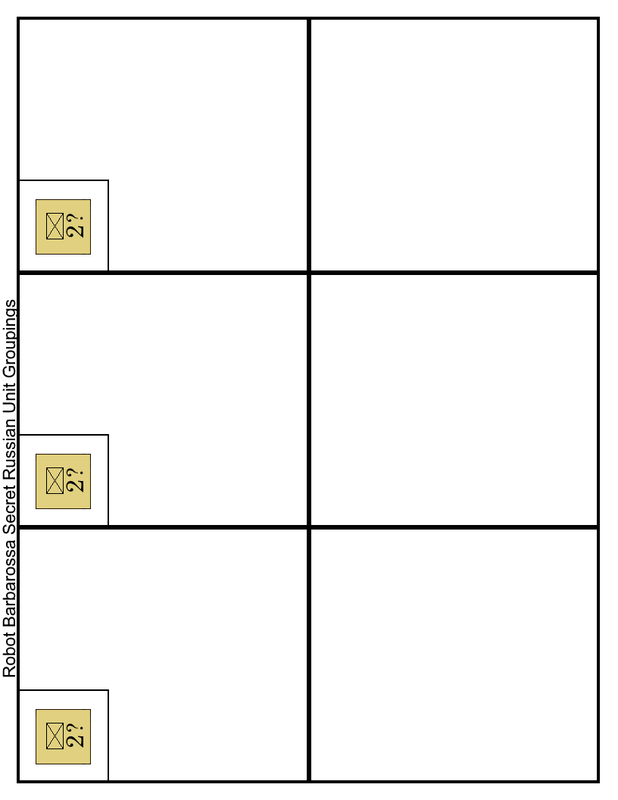 Rules in Rich Text Format - Final Draft(? 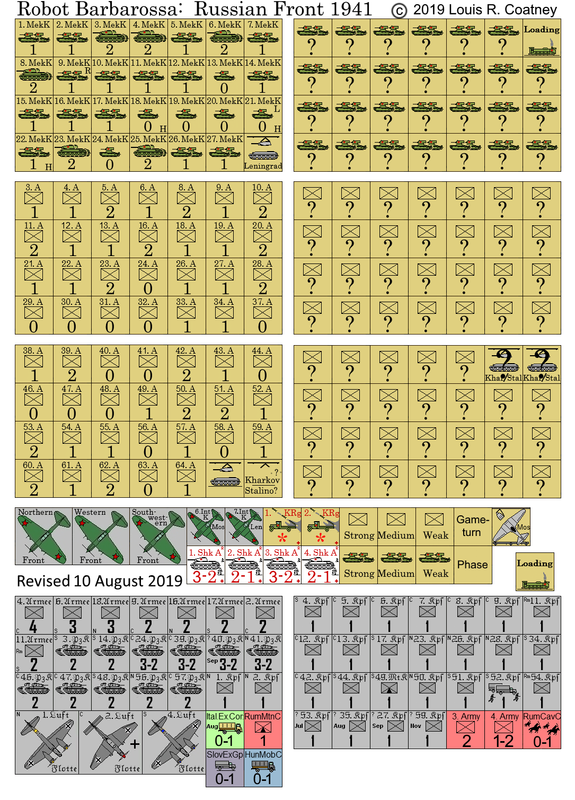 )19Apr19 And note that the .rtf version is usually more up to date. 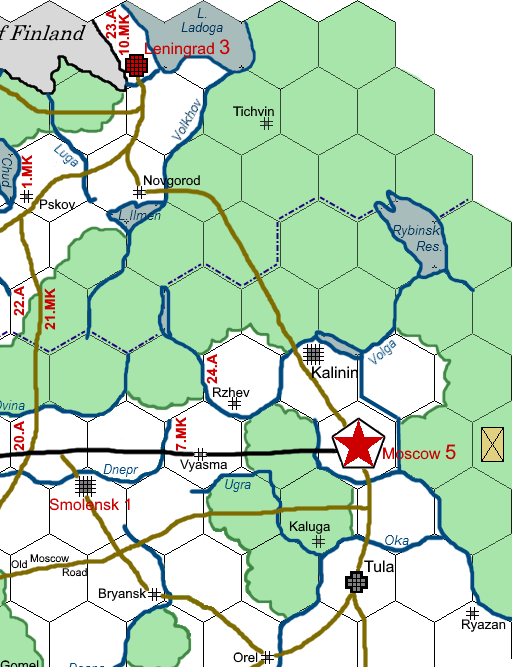 The map.Rvsd 24Feb19 Bialystok Forest reduced around and north of Brest. 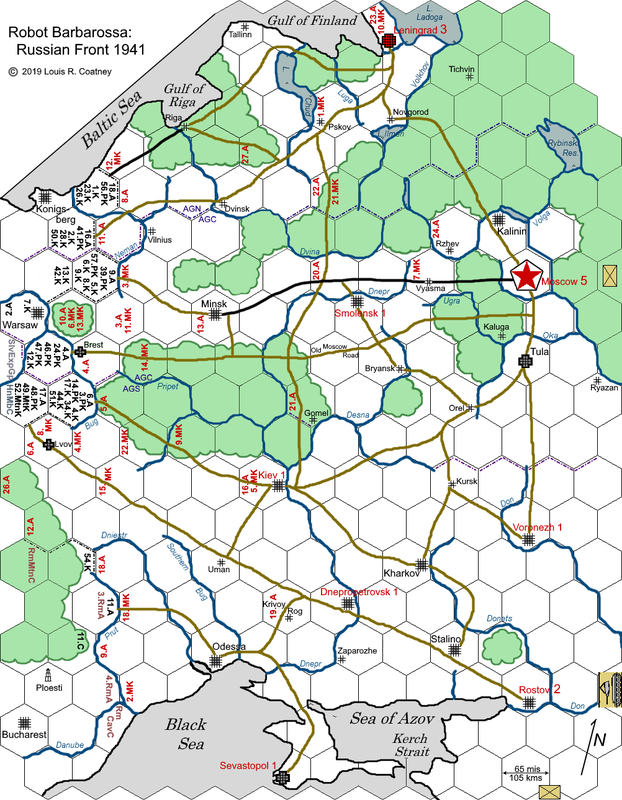 The map - northern half for a larger mapboard.Rvsd 24Feb19 Bialystok Forest reduced around and north of Brest. 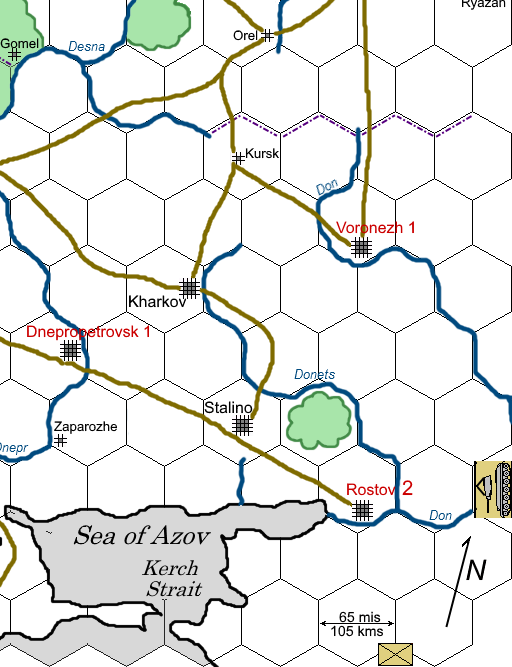 The map - southern half.Rvsd 24Feb19 Bialystok Forest reduced around and north of Brest. 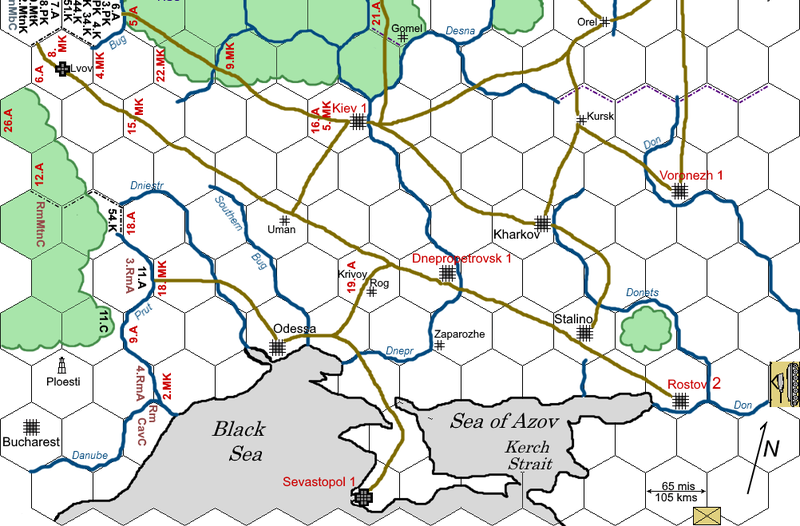 The map - northwestern quarter for a much larger mapboard.Rvsd 24Feb19 Bialystok Forest reduced around and north of Brest. 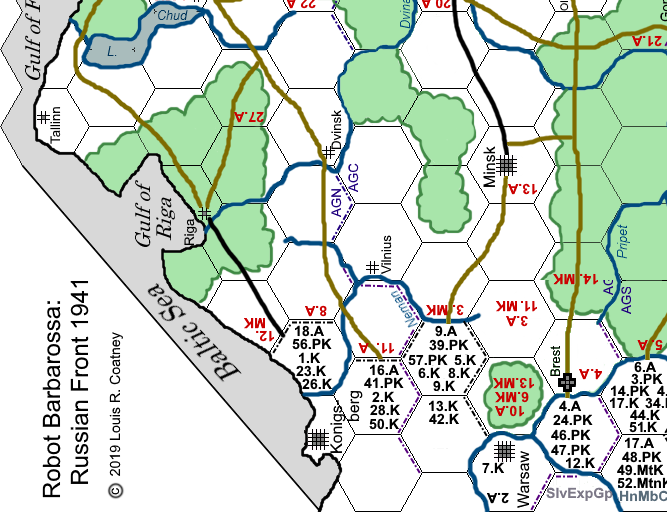 The map - southwestern quarter for a much larger mapboard.Rvsd 24Feb19 Bialystok Forest reduced around and north of Brest. 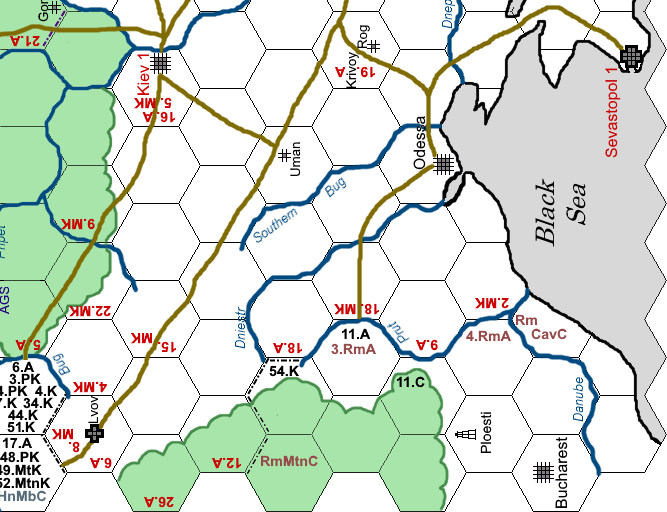 More comments by myself and others about the game can (soon?) be read on TalkConSimWorld and BoardGameGeek.